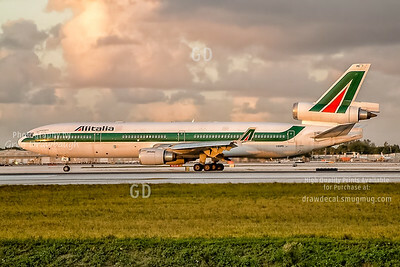 Catching the golden light at the end of day in November 2003, Alitalia MD11 I-DUPD taxis for departure from Miami. 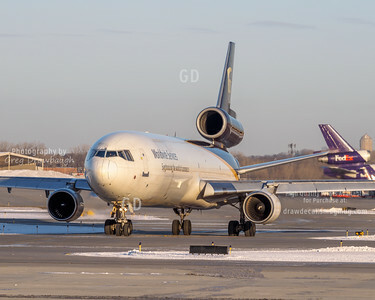 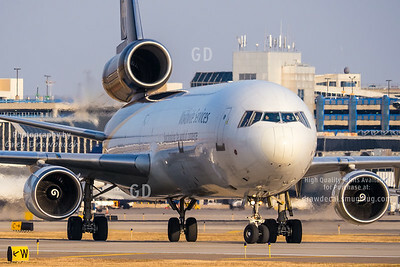 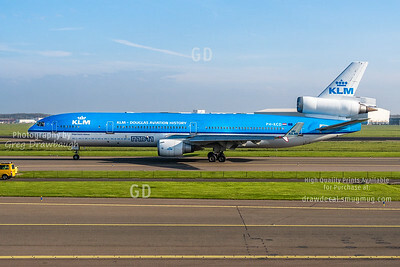 This was the second of three fan trips operated on November 11, 2014 by KLM to mark the end of an era with the retirement of the MD11. 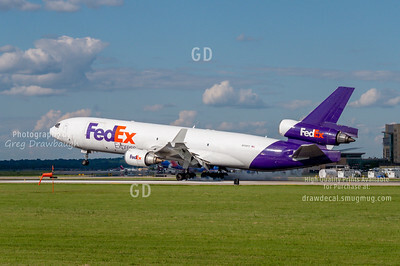 PH-KCD is seen here departing runway 18L. 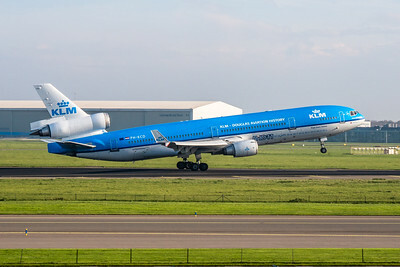 This was the second of three fan trips operated on November 11, 2014 by KLM to mark the end of an era with the retirement of the MD11. 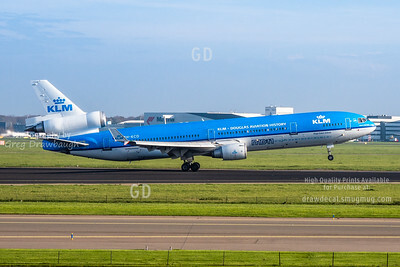 PH-KCD is seen here on its way to runway 18L for a quick departure. 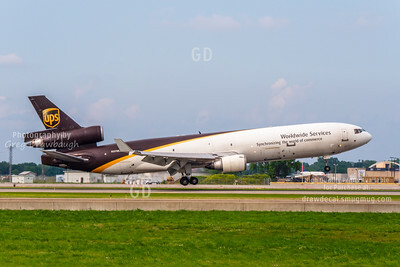 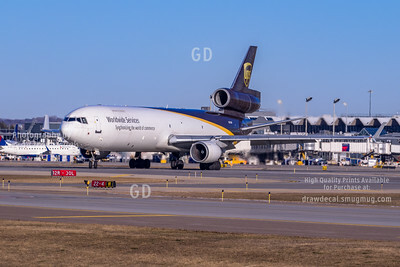 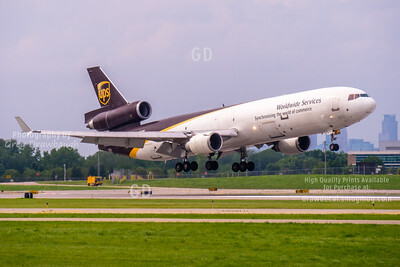 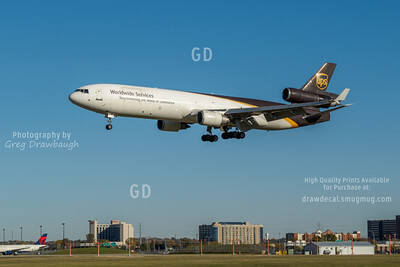 On a picture perfect day, UPS MD11 N258UP lands on runway 35 at MSP. 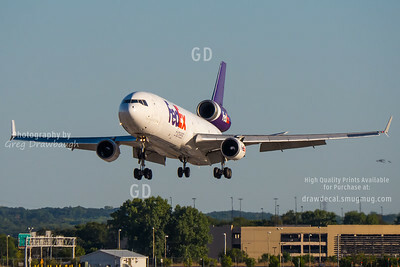 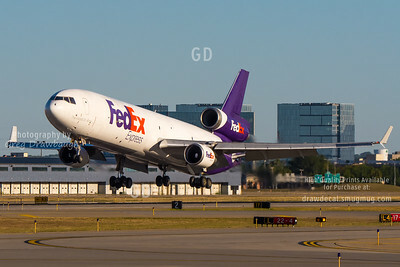 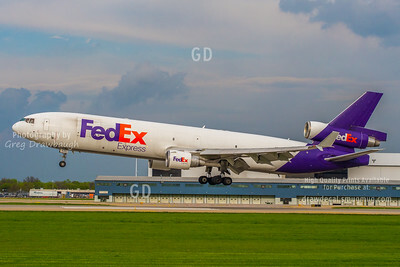 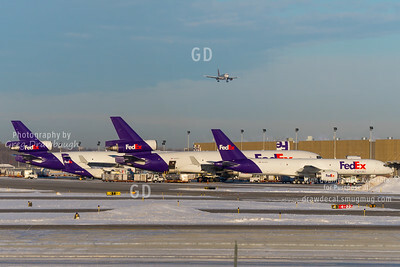 Purple, Package Eater MD11 N620FE arrives at MSP with a nice, dramatic cloudy backdrop for me. 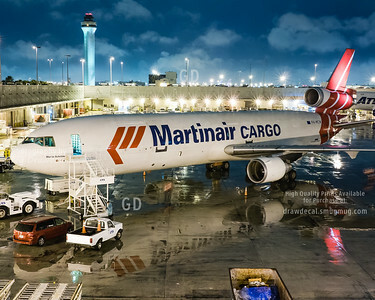 Martinair Cargo MD-11F's PH-MCS and PH-MCR meet in Miami on this rainy January 2014 evening. 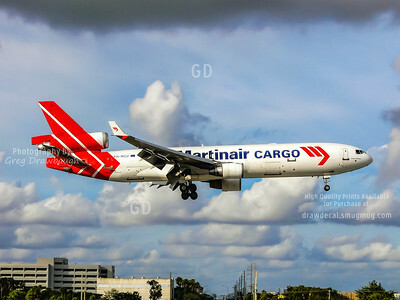 Martinair Cargo MD11F PH-MCP flares to land on runway 9 at Miami on this beautiful January afternoon in 2013. 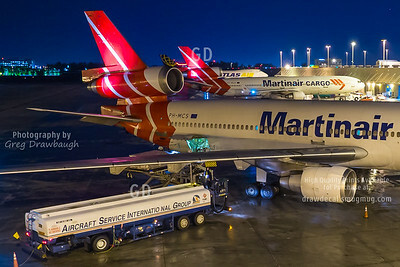 It is hard to beat a wet ramp at night! 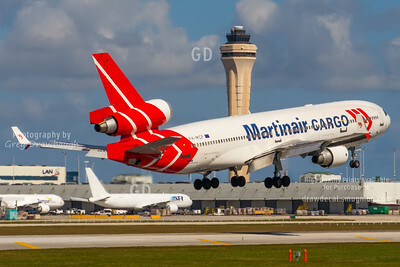 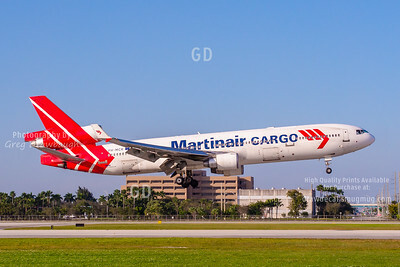 Martinair MD11F PH-MCW is finished loading and is about to depart Miami and head back to Holland with another load of cargo.